The Whitney Museum is currently presenting “Carmen Herrera: Lines of Sight”. This outstanding exhibition examines work from 1948-1978. Born in Cuba and educated in Havana, New York and Paris, Herrera developed a distinctive hard-edge geometric style. This is a large show and would require more than one blog post to discuss in fill. I have decided to limit this post to paintings Herrera created in NY after she returned from studying in Paris (1952-1965). “Black and White” from 1962 is an excellent example from this time period. The shape of the actual canvas is an important element in the architecture of the work. By rotating the square there are no horizontal or vertical lines, this immediately disrupts the visual experience. Herrera limited her color pallet to two colors creating a dynamic tension of positive and negative space. 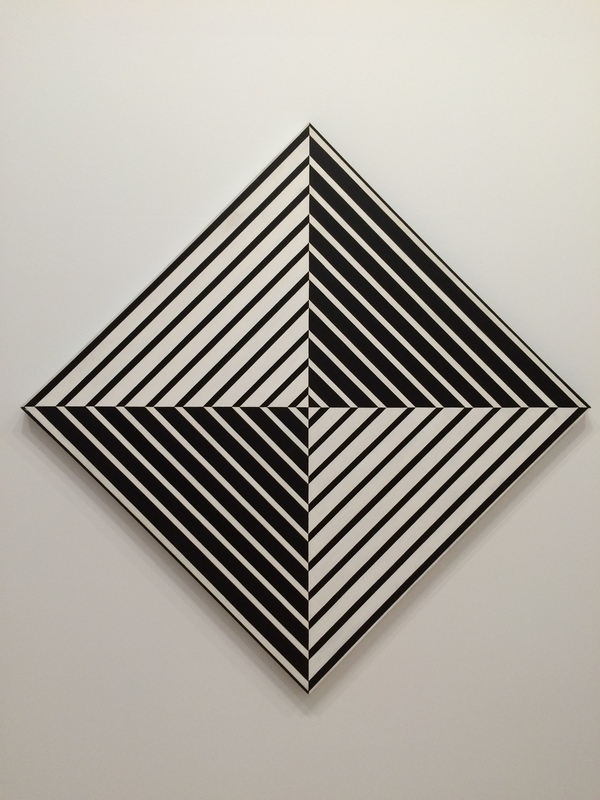 In this work the thicker white strips are the same width as the thicker black strips but in the gallery there is an optical illusion where the white seems wider. The alternating of black and white parallel lines on the isosceles right triangles creates an order-2 rotational symmetry. “Horizontal” from 1965 also features two colors and a square. 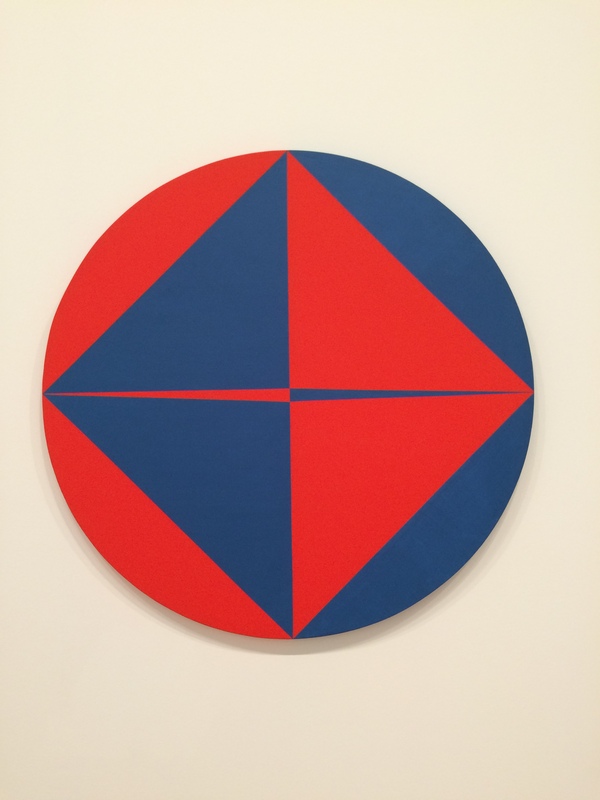 This painting again relies on the shape of the canvas to define its structure, but in this case a circular format. The thin horizontal wedges amplify the push and pull of the red and blue triangles and circle segments, formed by the edge of the canvas (arc) and the sides of the squares (chords). “Lines of Sight” is a long overdue solo museum exhibition for Carmen Herrera It is a welcome opportunity to appreciate the artist’s exciting use of geometry.